There are few activities in life that can be as reliably life-changing as a Grand Canyon backpack. 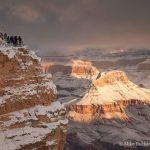 Whether it is your first or fiftieth multi-day trip below the rim, the canyon will force a reaction; it might be a grimace, it might be a grin. 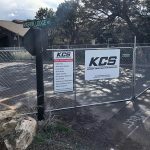 The best way to ensure the latter is to hire the services of a company or organization that provides guided hikes and backpacks. This tight knit community of professionals knows the canyon inside and out and will make sure you don’t miss any of the sights and sounds. The variety of services and support these outfits provide can vary. But the common denominator is an eagerness to share a passion for this fabled landscape. 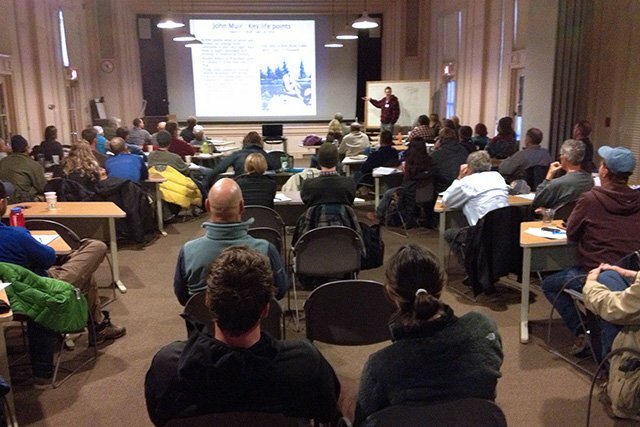 Recently the Grand Canyon Field Institute hosted their annual Guides Training Seminar in advance of the spring hiking season. One hundred dedicated guides, wranglers, and rangers seized the opportunity to polish skills, uncover new facts and figures, and share best practices. If the level of enthusiasm was any indication, the thousands of clients that will explore the canyon in their collective hands are in for an amazing adventure this year.